There’s 6 volumes in this book series with 2 for elementary, 2 for intermediate, and 2 for advanced students. With each lessons you get a two page long conversation and after the text there are notes, exercises, and new words. You’ll need to know Chinese characters as there’s no Pinyin for the exercises, notes, and sentences. 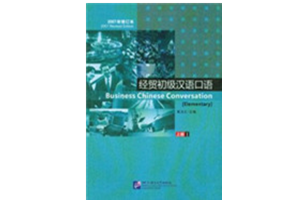 You’ll get a lot of knowledge out of these books and they are perfect for the Chinese major student that wants to get into trade and economy.